Race Matters is a weekly show, airing live on Sydney’s FBi Radio each Monday at 5:30pm. It sees rotating hosts Rhyan Clapham, Sara Khan, Darren Lesaguis and Georgia Mokak chat race, culture, representation, arts and current affairs with a range of guests. Have you ever considered who gets to decide what's put in a museum? 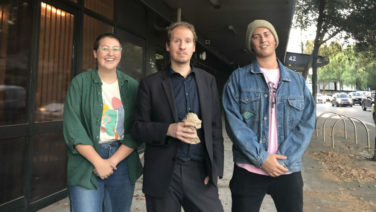 Nathan Sentance, First Nations project officer at the Australian Museum, joins Darren and Sara to speak about the importance of Indigenous ownership over the histories and stories told by cultural institutions about First Nations peoples. Read more of Nathan's work at Archival Decolonist, and follow him on Twitter. In Sydney for the first time, Persian-Kiwi rapper, audio engineer and producer CHAII joins Georgia and Rhyan in conversation on the site of the 4Elements Hip Hop Festival in Bankstown. Watch her stellar debut music video here. "I don't see myself casting as a white dude as the lead in my movie," Jordan Peele, director of Get Out – and the new and incredibly successful Us – has said. Darren and Sara chat about why Peele may feel this way, why it's an uncontroversial notion, and the importance of strong and varied representation in film. An integral figure in Sydney's creative scene today, Nadia Hernández is a multidisciplinary artist based on Gadigal land. Over two days, Georgia Mokak and Rhyan Clapham shared tea and stories in Nadia's home, spanning reflections on her homeland Venezuela, the complexities of diaspora and the influence of both of these on her practice. In this episode of Race Matters, Georgia and Rhyan speak to multidisciplinary artist Nadia Hernández about her practice, homeland, and experience as a diasporic Venezuelan woman living in Sydney. An extended version of this conversation with Nadia will be released later this week - to make sure you get it first, subscribe to the podcast on iTunes, or keep your eye on our Spotify and website feeds. This week on Race Matters, Tanya chats to Emily Havea, a Sydney-based actor, singer and dancer who is currently starring in a one-woman play titled Grounded, at Parramatta's Riverside Theatre. They talk growing up Brown in white spaces, creative communities of colour and Brown Skin Girl, an incredible play from Sydney theatre collective Black Birds that Emily has written and starred in. You also hear from Leah Jing Mcintosh, the founder and editor of Liminal magazine, about the Liminal Fiction Prize: a creative writing prize for and judged by Australian writers of colour. Black Birds are doing another show this April. It's called Exhale and you can head here to find out more / buy tickets. Grab tickets to see Emily in the already widely acclaimed Grounded here. Find more information about the launch of Liminal's first print edition in Melbourne here. We also begin the show with a few words about the Christchurch terrorist attacks that Tanya shared earlier in the day, on Monday Arvos. If you have the means, the New Zealand Council of Victim Support Groups and the New Zealand Islamic Information Centre are both running funds to support the victims and their families. It's not every day that Fariha Róisín is in town. Now based in Brooklyn, the Australian-Canadian writer, editor, podcaster and delightful human was Sydneyside for a panel titled WoC Solidarity: Beyond Performative Allyship. You heard part of our interview with her on Episode 8 of Race Matters, but we felt so energised (and, tbh, smitten!) after our sprawling conversation with her that we wanted to make it available to you in full. Support The Juggernaut by following them on Instagram, Facebook and Twitter, and of course, by subscribing. Keep up to date with Fariha on Twitter, Instagram and at her website. This episode features tunes from Tommy Genesis, Gonjasufi, Swet Shop Boys and M.I.A. Today on Race Matters with Georgia Mokak, we hear from Brooklyn-based Australian-Canadian writer, editor and podcaster Fariha Róisín. She speaks with Rhyan Clapham and Tanya Ali about growing up in Australia, diasporic experience and the importance of meaningful allyship. Later this week, we'll be releasing an extended cut of Rhyan and Tanya's conversation with Fariha – so keep an eye out on iTunes, Spotify and our podcast page. Right at the end of today's show, we mention a really valuable resource – Aamer Rahman's video about reverse racism. Watch it here. In a special edition of Race Matters live-to-air on International Women's Day, Sara and Georgia catch up with Kween G for an in-depth chat about culture, gender and hip hop in Sydney. How do you decide what is acceptable in the content you consume? Where do you draw your line? In this special episode of Race Matters, we explore feminism and queerness in hip hop, and how it's changed over time. 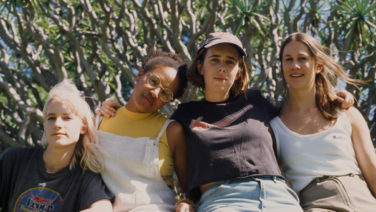 You'll hear from Joan Morgan, Carolina Gasolina and Georgia Mokak, and hear tunes from Sampa the Great, Lauryn Hill and Okenyo, Miss Blanks & Jesswar. If this topic is your jam, make sure you head along to Joan Morgan's talk at All About Women this Sunday March 10. 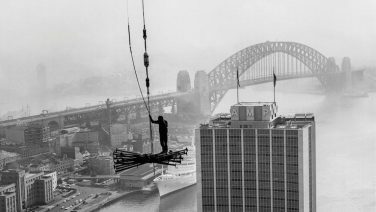 All details at sydneyoperahouse.com.